There are a lot of things from the 80's that can best be explained by simply saying "eh...it was the 80's" and then moving on to a new topic. How else would you explain parachute pants? However, many of these strange fashions have actually survived to modern times, and things like leg warmers and jean jackets can still be seen in updated and modern styles. Some other fads from the 80's can also be ironically enjoyed in all their original, weird glory. 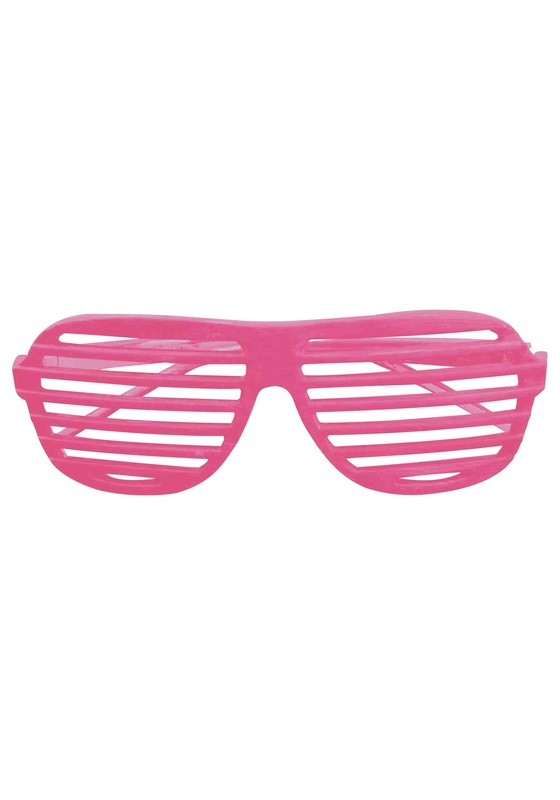 These Neon Pink 80's Shades, for example, look like they have been lifted right out of an 80's middle school time capsule. These shutter shade-style sunglasses may not contain any glass, or do anything to protect your eyes from the sun, but that's not the point. The whole purpose of these shades is to look rad, man! If you need a better reason than that, then well...it was the 80's, dude.